The song you’re about to hear is a wonderful surprise, in more ways than one. Before you get into the music, the outer trappings of the record might begin to form certain expectations — which ultimately become up-ended by the time the song ends. You gaze at the cover of this EP, a photograph taken in May (by the band’s guitarist, bassist, and backing vocalist) on a misty morning in the Vosges region, France. 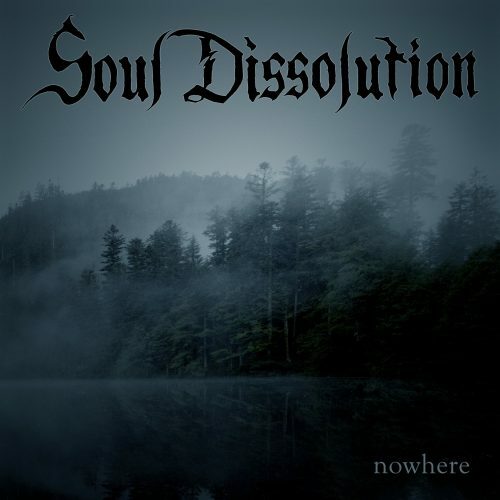 You consider that the name of this Belgian band is Soul Dissolution, that the name of the song itself refers to darkness, and that the EP which includes it (set for release on October 18th) is named nowhere. And from all that, you might surmise that thoroughly gloomy and melancholy sounds are about to come your way. And at first, the music seems consistent with those expectations. At first. Soul Dissolution tell us that this new two-song EP, as compared to their last release, the album Stardust (from which we also premiered a song), draws stronger influence from the likes of Agalloch, Heretoir, and Harakiri for the Sky (and they refer to Alcest and early Katatonia as well), the music more firmly rooted than before in post-Black metal. Both songs on nowhere are long ones, with “Fading Darkness” clocking in at nearly 12 1/2 minutes. But neither song is tedious; monotony never sets in; if you’re like me, you’ll wish they were even longer. Before “Fading Darkness” begins the change I’ve alluded too, it is indeed steeped in sorrow and pain, but it’s also soulful. Introduced by slow, pensive, reverberating guitar notes and the tick of a cymbal, the music builds gradually as the band add a restrained bass and drum rhythm, and reaches a crescendo of torment with the emergence of roiling guitars and the impact of even greater torment and raw agony in the sound of the vocals. The rippling lead-guitar melody bespeaks desolation, and the song swells in intensity, the music rising in power, the melody shining in stirring waves, like the haunting veils of an aurora borealis. There is a return to the pensive mood of the open as the music softens and fragile guitar notes reappear, eventually joined by the shimmering gleam of keyboards and a gradual drum rhythm. And here is where you begin to sense the fading of the darkness that was so evident in the atmosphere of the song’s opening half. While this interlude is moody, it grows brighter, and perhaps even hopeful in its aura. The transformation really begins when the song ramps up again — with a rocking beat and a chiming melody. And for the last 4 1/2 minutes of “Fading Darkness”, the band launch a beautiful, vibrant melodic motif through an extended solo that adds to the vibrant, head-nodding quality of the music. The mood now seems one of determined perseverance rather than wrenching desolation, the vocals reaching new heights of soul-splintering passion. And it’s that remarkable final sequence that really sticks in the head, and stays there long after the song ends. nothing will be released in a 6-panel digipak CD format, limited to 150 hand-numbered copies, in cooperation with the Russian label GS Productions, and it will be released digitally on October 18th as well. The EP was produced by Oliver Carell from Blastbeat Productions (Heretoir, Thranenkind, Ophis, and more). 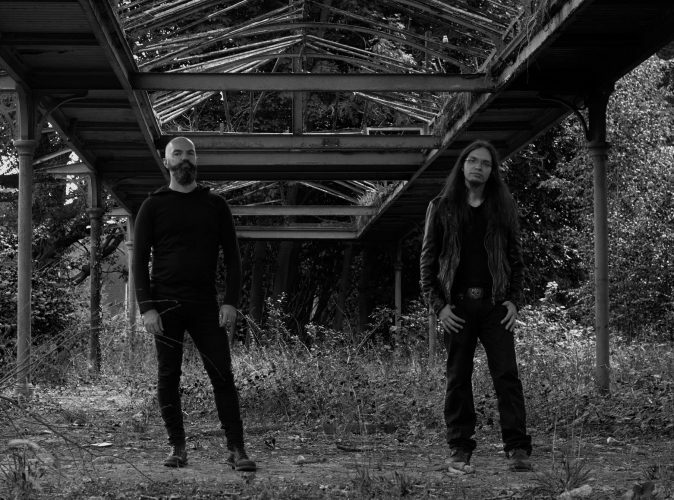 In addition to the band’s core duo of vocalist Acharan and instrumentalist Jabawock, the new EP features session drummer Celestial (who has been a part of the band’s live line-up).